If you are so well-organised that you buy presents now for next Christmas, and there’s an aficionado of whodunits in your family, then how about Murder for Christmas, by Francis Duncan? My daughter bought this for me this year and I’m very glad she did. A snowbound country mansion; a mixed assortment of guests (with dark secrets) invited to spend Christmas in traditional manner by the genial owner of the house; mysterious footprints in the snow; a malevolent stranger standing outside the gate; and yes, the house has a secret passage! Then, Father Christmas is found murdered at the foot of the Christmas tree on Christmas Eve. What could be better? Written in 1949, it features the amateur sleuth Mordecai Tremaine, a retired tobacconist who likes romance novels. (Why not? Why should a love of opera or of playing the violin be superior?) Just like Poirot in Hercule Poirot’s Christmas, he has been invited to join the Christmas house party (by the host’s secretary) because it is feared that something nasty is afoot. The guests include star-crossed lovers, a self-important politician, an irascible alcoholic, an angry scientist who dislikes Christmas, two femmes fatales, an alarmed niece, and an apparently nondescript married couple. The clues are there, and theoretically the reader could work out the solution before Mordecai explains it. That clever reader would have to exert some powers of imagination, but I think it could be done. I didn’t manage it. Francis Duncan wrote over 20 crime novels between 1937 and 1959. This is the first one I’ve read. The Writers’ & Artists’ Yearbook Short Story Competition also wants up to 2,000 words, on any theme. Deadline is 15th February. Prizes: £500 and a place on an Arvon Writing Course. Entry is FREE, but you must register on their website. Details: http://www.writersandartists.co.uk/competitions. And, finally, literary magazine The White Review will award £2,500 to the winner of its annual short fiction competition. This is for writers who have not secured a publishing deal, but who may have been published in magazines or journals. Entries may be in any genre, but they favour stories ‘that explore and expand the possibilities of the short story form’. Something a bit different, then. The winner will be published in The White Review and will be invited to meet literary agent Imogen Pelham. They want stories between 2,000 and 7,000 words. There is an entry fee of £15 and writers may submit only one story. Details from http://www.thewhitereview.org. PLEASE double-check on the appropriate website in case any details have been changed. We’d like to add our congratulations to all the others Frances Hardinge has received on winning the Costa Book of the Year Award with The Lie Tree. Apparently Frances was born and raised in Penshurst Village, ten minutes’ drive from ninevoices’ country. I wonder if she ever found inspiration for her other-wordly stories from the ancient tombstones in the churchyard of Penshurst Church? There is one there, embossed with flaming torches, which tells of two men, father and son, who died from the foul air in a well – one having gone down to try and rescue the other. The stone also commemorates the mother, who died within the year, no doubt of grief. They are free-standing stories but some characters appear in more than one. Why is the Essex boy banker so agitated and so concerned with his briefcase? Why is the woman sitting opposite him so unhappy, and why does she ask his advice on how to commit fraud? What have the expensively clad businesswoman and the slatternly dressed woman in flip-flops got to say to each other? Will the 16-year-old schoolgirl finally change into the frilly pink dress she hates so much? Why for the young man could the delay be literally a matter of life and death? The writing group must have had a lot of fun at the meetings where they worked out how their characters interlocked! 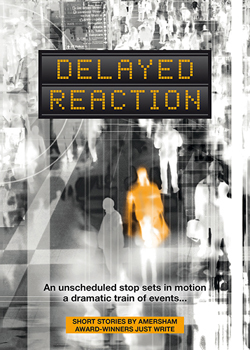 Delayed Reaction is produced in aid of the Royal Marsden Cancer Charity. ISBN 978-0-9931222-2-4 RRP paperback £6-99 e-book £5-99 Go to http://www.delayedreaction.org.uk/ for purchase details and other details about the Just Write group. A husbandly thumb jabs at one of the cryptic crossword clues. I take a bite of my granary roll. We’re having a snack lunch and passing the paper back and forth. 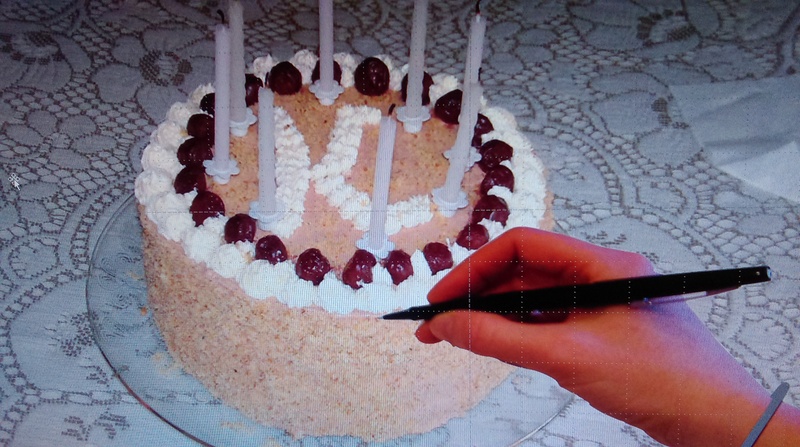 I’ve craftily done the easy ones before giving up and handing it over. War and Peace has the worst opening sentence of any major novel ever, says Philip Hensher in the Saturday 23rd January review section of The Guardian. He goes on to say that the proposition in its closing sentence – also one of the worst ever – is nonsense. I devoured War and Peace after watching the BBC 1972 serial. Schoolgirls like me up and down the country were all doing the same thing, inspired by adoration of Alan Dobie playing Andrei Bolkonsky and Anthony Hopkins as Pierre Bezukhov. You’ll read it in ten days, maximum, says Philip Hensher, and by the time you reach the end of the First Epilogue you’ll wish it could go on for ever. I went to see a National Theatre ‘Encore’ streaming of their production of Jane Eyre at the weekend. It was rather a feat of endurance, since they’d condensed what were originally two consecutive evening performances into one three-and-a-half-hour performance. But it was worth the cramped knees. With a relatively limited cast, and a minimal set, they made the story sing. The acting was superb but the huge advantage of experiencing a live performance on a big screen is that you see every gesture and facial expression in way that is impossible in a conventional theatre performance. There will be an exhibition at London’s British Library to mark the 400th anniversary of Shakespeare’s death which will explore the impact of ten significant moments – from the first production of Hamlet to a digital-age deconstruction for the 21st century. Together with paintings, photographs, costumes and props you will be able to see rare printed editions, including the First Folio, and the only surviving play script in his own handwriting. Running from the 15th April to the 6th September this could be something to include in your plans for the spring/summer. The Mogford Prize for Food and Drink Writing, 2016 – £7,500 to be won! There’s a massive prize of £7,500 to be won in the 2016 Mogford Prize for Food and Drink Writing. Entries should be unpublished work and up to 2,500 words in length. One submission is allowed per person, and the closing date is 6 March 2016. Anyone can enter. The prize will be awarded during the FT Weekend Oxford Literary Festival, to be held from 2 to 10 April 2016 (see http://oxfordliteraryfestival.org/) . This is the fourth annual Mogford prize competition. The winning entries from the previous three can be found at the Oxford Hotels website listed above. 450 entries were received in 2015. I’ve written more short stories in the last year than in the previous decade – and doing so has curiously somehow increased my productivity. As well as the short stories, I’ve managed to draft a pretty awful poem (my first since primary school), finished my romantic comedy novel (Douglas Dodd’s Women) and written the first 6,000-words of another, in a very different genre. In addition, I sent a short story to, firstly, Women’s Weekly, and then to The People’s Friend. Both bombed. I have four other entries ‘out there’ with results due in February/March. In case they are all rejected – which might stop me writing for days/weeks/months while I lick my wounds and whine about my work being only fit for the recycling bin – the plan is to send out a handful more in the next weeks, to keep the pot boiling. As my husband tells me, if you fall off a horse you’ve got to climb straight back on and keep going.